We understand how difficult it is to find yourself unable to reach your destination because of car troubles. There is nothing to worry about because we at Mississauga Towing can provide you the quickest and most dependable roadside assistance any time. We provide flat tire services, battery boost, fuel delivery and a variety of mechanic services to help you get back on the road. Suppose you are on your way to the office, an event, or driving back home, when suddenly your car breaks down. Then you ask yourself “where can I find a towing company near me to get me out of this situation?” If you are in this kind of problem with your vehicle, be it a sedan, pick-up truck, or a motorcycle, Mississauga Tow Truck will be there to help you and get you back on track in minutes. 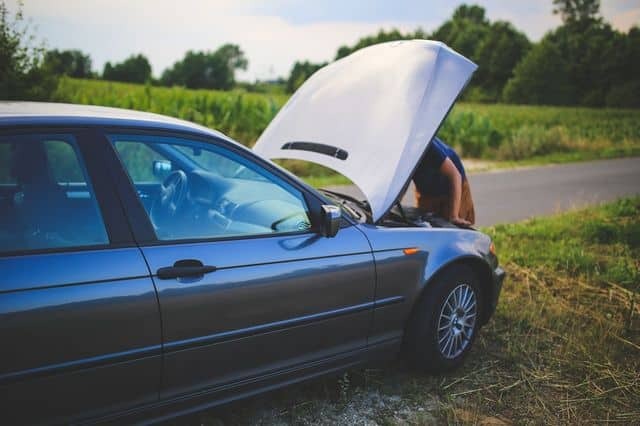 During a vehicle emergency, the smartest and most efficient thing for you to do is to always go straight to the professionals in roadside assistance. This is why we take pride in the service we provide and the reputation we have maintained ever since our inception in the business 30 years ago. As a trustworthy, established, and dependable tow truck Mississauga service, we stand by our principles of providing our clients with nothing but the best service that they deserve. We don’t delay our job, and we do things right the first time – ALL THE TIME. This is our way of proving how much we respect and value your precious time and money. There are a variety of reasons why a car may breakdown on the road. It could be due to a flat tire, an empty fuel, zero charge on the battery, and a few other things. There are also some motorists who are unable to head back on the road because they are locked out of their vehicle. Having an experienced auto locksmith is definitely more effective than trying to get back in your car with a wire hanger or smashing a window. We specialize in roadside assistance, being exposed and actively working in this field for over 30 years. Our team of experts can handle numerous tasks involved in roadside assistance such as flat tire service, car lockout service, heavy duty towing, motorcycle towing, and 24 hour emergency vehicle towing. With our full service for your towing needs, we definitely got you covered. All you need to do is to grab that phone, dial our phone number and explain to us exactly the problem you are experiencing, so we can help you. Maybe you are in a challenging vehicle accident or emergency, and it is difficult for you to get someone’s help. This is the main reason why we are here in this business – to be the reliable experts that you can call on during your moments of need. Our full range of roadside assistance services should get your concerns covered by just one Mississauga towing company. And that is us. Mississauga Tow Truck has you covered, as we cater to a number of areas including the Greater Toronto Area, Newmarket, Scarborough, Markham, Etobicoke, Toronto, Brampton, Oakville, and Hamilton. So if you happened to be in any of these places and faced with a tough vehicle emergency, you should dial our phone numbers at 647-953-9655 – and we will come to your aid and get you out of that very challenging moment the soonest possible.